This major expansion spanning multiple floors of office space allowing ADP to prepare for an increase in its current staff. This office space to included support staff for customer service, implementation, IT and finance. Project Size: Floor: 160,000 sq. ft.
SITA-Tab provided Florida testing, adjusting, & balancing (TAB) services for the 160,000 sq ft innovative, science & technology building. The project houses a range of classrooms, auditoriums and research labs alongside faculty offices and academic administration resources. SITA-Tab's services included extensive TAB related to the ventilation and chilled water systems to ensure a functional building. Project Size: 500,000 sq ft. 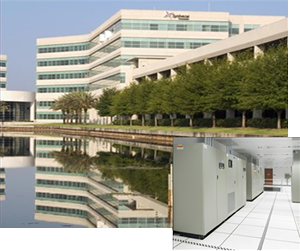 This multi phase project included mechanical renovations as well as HVAC controls upgrade to the Tampa Office. 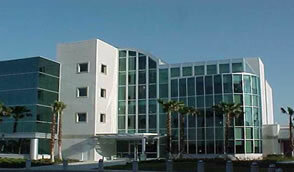 The Campus includes a seven-story main building, a child development center and several support structures. The building houses a 500+ seat cafeteria with a full-service kitchen, conference rooms, loading docks, drive-in claims area, fitness center, and storage areas. Project Size: 66,000 sq ft.
Construction Management: Skanska USA Building, Inc.
TMA constructed a new 66,000-square-foot facility in downtown Tampa. SITA provided HVAC Testing, Adjusting, & Balancing (TAB) services for the 66,000 sf building, which included extensive TAB services related to the ventilation and chilled water systems to ensure a functional building. 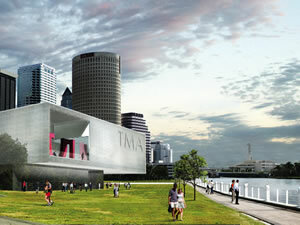 The museum will become a nationally recognized major art destination and premier venue for residents and visitors. Five expansive interior galleries, one exterior sculpture gallery, and an educational classroom equipped with the latest technology offer visitors a wide variety of visual art experiences. Project Size: 200,000 sq ft. Architect: Collman & Karsky Architects Mech. Engineer: Smith, Seikman & Reed, Inc.
SITA provided HVAC Testing, Adjusting, & Balancing (TAB) services for the 200,000 sf building, which included extensive TAB services related to the ventilation and chilled water systems to ensure a functional building. The project included converting10,000 sf on the first floor of the existing office building to a 6,000 sf network operations center as well as designing 2,000 sf of research and technology laboratories. Special features include raised access floors, Liebert air handling units, gas fire suppression systems, and a variety of sophisticated security and control systems. Project Size: 75,000 sq. ft. The new Psychology Building includes classrooms, research laboratories, a clinic, faculty and undergraduate offices and an auditorium. SITA provided HVAC Testing, Adjusting, & Balancing (TAB) services for the 75,000 sf building, which included extensive TAB services related to the ventilation and chilled water systems to ensure a functional building. Project Size: 150,000 sq. ft. This fast-track 150,000 sf call center for Progressive, consisted of a 3-story Call Center that seats 1000 employees and a 2-story amenities building. SITA-Tab provided HVAC testing, adjusting and balancing for Progressive with the inclusion of infrastructure tie-ins to their existing campus for communications, and a stand-alone energy plant. 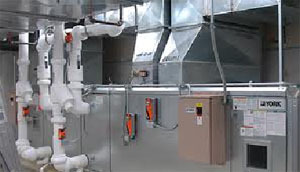 The custom Air Enterprises (70,000 cfm) roof top units, with multiple fans, required extensive coordination with the controls contractor and mechanical contractor to ensure proper operation. Project Size: 425,000 sq. ft.
As a Florida test and balance contractor, SITA-Tab worked on the expansion of the existing 400,000 sf complex consisted of a 175,000 sf clinic addition to the existing facility, and a separate 250,000 sf Research Laboratory Building connected by tunnel and bridge to the Clinic. SITA provided HVAC Testing, Adjusting, & Balancing (TAB) services for the 425,000 sf building, which included extensive TAB services related to the ventilation and chilled water systems to ensure a functional building. Designed for theater and dance productions, banquets, indoor sports, dance, weight training, and exercise classes, the new center will provide flexible spaces for classrooms, crafts, games, preschool, a branch library, and administrative offices for the Dunedin Leisure Services Department. Ample exterior green spaces will accommodate athletic and recreational activities, existing courts and fields, a fully accessible playground, music festivals and art harvest fairs. SITA provided HVAC Testing, Adjusting, & Balancing (TAB) services for the 60,000 sf building, which is registered for basic LEED certification. ©2007-2019 Southern Independent Testing Agency, Inc. Web Site Design by FireSpike LLC.